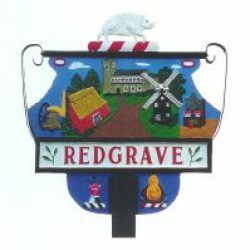 The Redgrave Community Society Management Committee is pleased to announce the appointment of a Management Couple for the Cross Keys. Miss Georgina Earland will be joining as General Manager, and Miss Naomi Miller-Howard as the Chef. Georgina and Naomi have worked together for several years at the prestigious four star Pelham House Hotel in Lewes, Sussex. Prior to Pelham House, Georgina was a trainee general manager for the Nelson Coffee Company. She joins us with a wealth of experience in the co-ordination of events, as well as front of house, and bar and cellar management experience. Prior to Pelham House Hotel, Naomi was previously head chef at Revolución de Cuba and prior to that, a private senior chef for the NAAFI in Germany, cooking for high profile functions including visiting royalty and German diplomats. We now look forward to enjoying their undoubted professionalism and expertise here at the Cross Keys and wish them a warm welcome. They will commence employment on Monday 22nd January to help with the planning and preparation of the Cross Keys prior to its opening. Further details on the official opening will be advertised in due course. Previous PostPrevious MORE GOOD NEWS – HMRC FINALLY SAY “YES”! volunteer in the bar and restaurant of The Cross Keys? help with the maintenance and improvements to The Cross Keys? CLOSURE OF DON’T LOSE THE KEYS!